Download eCommerce App UI Free PSD. 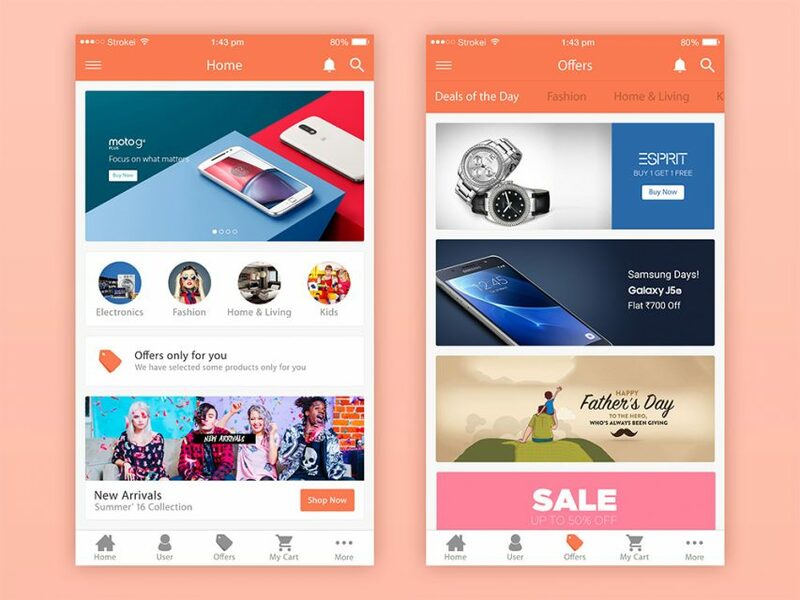 Here are 2 free eCommerce mobile app screens psd that are perfect as inspiration if you want to create a shopping app. The design uses vibrant colors giving it a modern look which is perfect for fashion eCommerce app . Although there are only 2 screens you can start building your app using this eCommerce App UI Free PSD. Hope you like it. Enjoy!